In just a few days, H2O Wireless is set to kick off July by adding more data to its monthly unlimited plans without having to increase the price of those plans. Unfortunately, that's not the only change the AT&T MVNO is making. Over the weekend, some H2O Wireless subscribers around the web were proclaiming that their download and upload speeds appeared to be slower than before as tested by various internet speed testing apps. When this happens there can be many possible explanations. 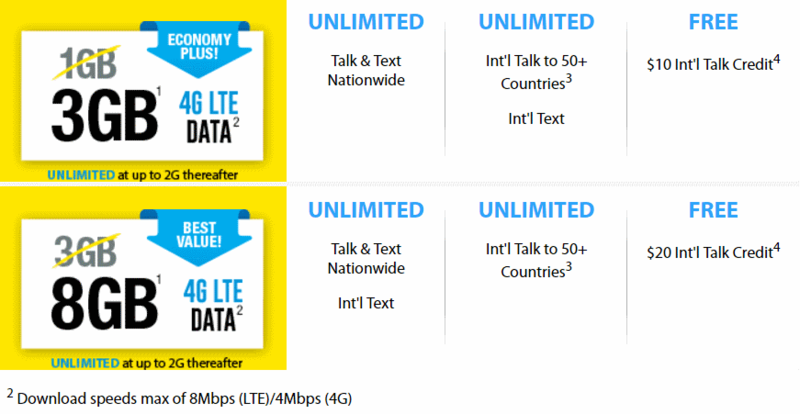 For one thing, MVNO's are always prioritized below the big 4 wireless carrier's postpaid customers. This means, that anytime a network is congested, subscribers to a big 4 wireless postpaid plan will get network access preference over an MVNO customer. A majority of the time this goes unnoticed by the MVNO subscriber. The H2O Wireless subscribers who were experiencing slower internet speeds could have simply been experiencing this. When I checked H2O Wireless's social media accounts, as well as their website terms and conditions during that time they made no reference to having implemented a speed cap, so I thought this may be a plausible explanation to explain what was happening. Unfortunately it was not. Section 16. Data Service And Charges: Download speeds max of 8 Mbps (LTE)/4 Mbps (4G). The 4 Mbps for 4G likely means HSPA+ as that is how Cricket Wireless limits their customer download speeds and H2O Wireless appears to be mimicking Cricket Wireless's plans in this fashion. H2O Wireless has also updated their monthly unlimited plans to show the change to their network speeds. Like Cricket Wireless, upload speeds do not appear to have any sort of speed cap. With H2O Wireless soon to release new phone plans with more data, I wondered if AT&T was behind this speed restriction. It would be reasonable for this to have been a trade off that was necessary for H2O to make in order to be able to add more data to their plans without increasing their prices. With that in mind I reached out to another AT&T MVNO, who will soon be adding more data to their plans without increasing prices. The other MVNO told me that they will not be throttling data at this time, however, once they gauge the response to their new plans, that is something that they may take into consideration. Dennis Bournique suggests that wireless providers are starting to throttle speeds because they believe customers will use less data if they do. It's also quite possible that carriers do this to limit the tethering capabilities of a subscriber. Some subscribers try to use their wireless phone plans to replace their ISP, and when there are speed restrictions on a network such as this, it becomes a little harder to do so.